According to South China Morning Post, the development of indigenous AI technology is essential for China’s economic development, social progress, and global geopolitics, said Chinese President Xi Jinping at a Politburo study group session on AI on October 31, 2018. 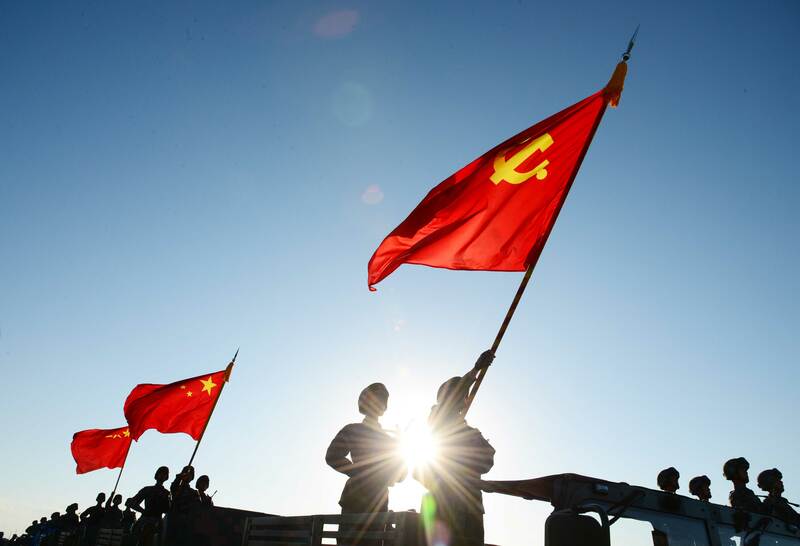 It is also for the first time that the Chinese President has called the dominant Communist Party of China (CPC) “Politburo” to study AI technology. Earlier in 2016, Chinese President called for fusing hi-tech technologies like big data, cloud computing and AI with People’s Liberation Army (PLA). Similarly, Chinese Military weapons designers have emphasized on AI technology and military hardware. The next-generation Chinese aircraft will utilize AI technology to achieve air superiority, according to Yang Wei, former chief designer of China’s J-20 stealth fighter. Similar views on AI technology were expressed by Wang Changqing, weapons designer about China’s cruise missiles with high levels of AI and automation, providing more control in real time situations and more tasks to in-flight missiles. China is developing unmanned submarines to perform tasks like reconnaissance, mine placement, suicide attacks against enemy vessels as part of a project to boost China’s Navy with AI technology. It has already constructed the world’s largest testing facility for surface boats in Zhuhai in Guangdong. Chinese military scientists are in the process of developing an AI-based support system for submarine commanders. Shenyang Institute of Automation, Chinese Academy of Sciences located in Liaoning province, has developed China’s first autonomous underwater vehicle with operational depth beyond 6 kilometres, as part of 912 projects focused on developing new generation military underwater robots by 2021. Shenyang Institute of Automation is a major producer of underwater robots for China’s military. China has a comprehensive plan to enhance its AI technology capability to maximize first –mover advantage. State Council has released a detailed AI development plan on July 8, 2017. This plan also highlights military-civilian integration in AI technology and establishment of normalization of communication and coordination mechanisms in scientific research institutes, universities, enterprises, and military units. China will strengthen the usage of AI technology in command-and-control, military deduction, and military AI technology for civilian applications. China achieved a significant breakthrough in some critical technologies like voice recognition, visual recognition, adaptive autonomous learning, intuitive perception, comprehensive reasoning, mixed intelligence, information processing, intelligent monitoring, biometric identification, industrial robots, and unmanned driving. The massive transformation of China transportation sector with AI technology is another important goal of this plan. The plan includes the development of traffic intelligence perception system, self-driving platform technology system, develop commercial UAVs and unmanned boats, and improve airspace and water management measures. Many of these AI technologies have the potential to be used as dual-use technologies serving China’s military requirements. Educational Institutions and Private companies are also closely associated with the development of AI technology for the Chinese military. Tsinghua University will establish Military-Civil Fusion National Defense Peak Technologies Laboratory and High-End Military Intelligence Laboratory with the support of Central Military Commission (CMC). China’s Technology Company, Baidu has joined with China Electronics Technology Group Corporation, State Owned Enterprise (SOE) to create Joint Laboratory for Intelligent Command and Control Technologies to focus on big data, AI, cloud computing and military command information systems. There are also many startup companies engaged with AI technology are developing surveillance capacities for China’s security purposes. iFlytek is a startup enterprise involved in the development of surveillance capabilities in Xinjiang with its expertise in smart voice technology. Chinese companies like Yitu Tech and Sense Time with their facial recognition expertise have supported policing and public security in China. Overall, China’s advancement in utilizing AI technology for military purposes with the coordination and cooperation of various scientific institutions and private companies with government policy frameworks. Dual use of AI technology will also provide the necessary investment required from the private companies in China. There are many lessons from China’s military uses of AI technology for global military industrial players. These lessons are very significant for the Indian defence industry, which aspires to export military equipment to global markets. India’s should build its AI technology capabilities with both domestic resources and international cooperation. AI technology has similar potential for India to address its security concerns like China. Indian private sector can develop next-generation security architecture utilizing AI technologies for civilian, commercial and critical infrastructure in India. Indian defence industry players associated with UAV’s development should be encouraged to explore the possibility of AI technology integration. Indian Corporate associations like NASSCOM, FICCI, CII,andASSOCHAM, must cooperate and coordinate to promote AI technology capabilities, which have the potential to transform the Indian industry. Taskforces and Committees should be announced by the government and Indian private sector for necessary recommendations to promote AI technology in Indian defence manufacturing entities. Policing has a considerable workforce shortage due to multiple reasons in India. Similarly, India also lacks adequate coastal police stations and infrastructure. Indian defence manufactures should explore developing security solutions using AI technology to address maritime and internal security concerns. The progress of India in AI technology is not possible without improving its scientific research capacities and its applications to address governance and security concerns. Indian government should announce policies to encourage academic, scientific research on AI technology and its applications. Indian strategic scholars should publish articles on AI technology and its military/ security applications. Indian government should also make policies to finance AI research and its commercial and military uses. It should also promote international cooperation in this process. Author is a Doctoral Candidate in Chinese Studies at Center for East Asian Studies, Jawaharlal Nehru University.